St. Martin's Griffin, 9780312312480, 304pp. This insightful guide is an exploration of how and why people undermine their happiness and lose touch with their "best" selves. 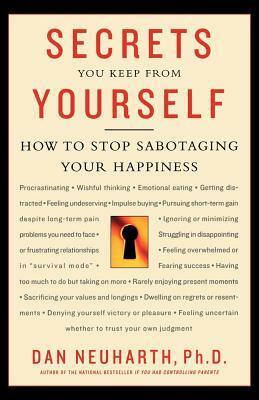 Counterproductive self-deception, a universal behavior, is a habit that can be broken. People keep themselves from having what they want, a phenomenon known as "self-handicapping." Offering poignant examples, innovative tools, and a compassionate perspective, Dan Neuharth reveals how to vanquish self-imposed roadblocks and avoid unnecessary losses in order to embrace and share the best in oneself. Dan Neuharth, Ph.D., is the author of the national bestseller If You Had Controlling Parents: How to Make Peace with Your Past and Take Your Place in the World. He has appeared on national broadcast media, including Oprah, Good Morning America, and CNN's Talkback Live. He is a licensed marriage and family therapist in the San Francisco Bay area.